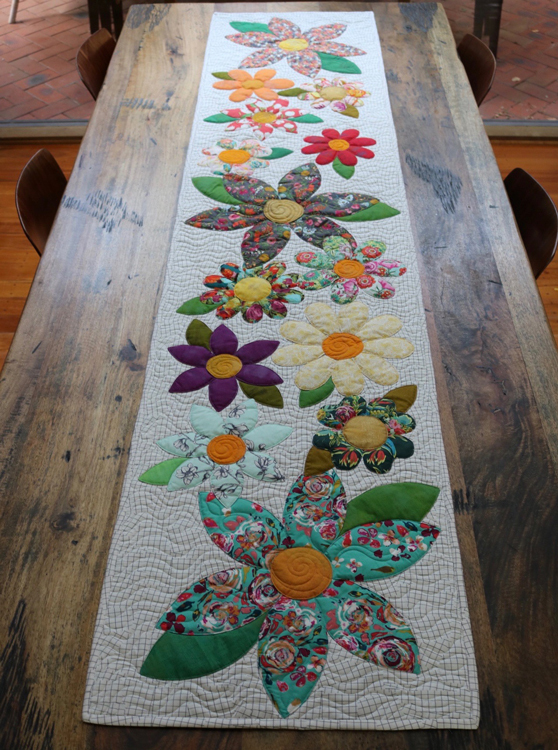 The Blossoms table runner is an easy project perfect for a quick finish. The appliqué is made up of simple shapes and is laid onto the background fabric in two sections making it easier to sew on and then once joined, the final flower is sewn into place. Simple quilting completes this project. 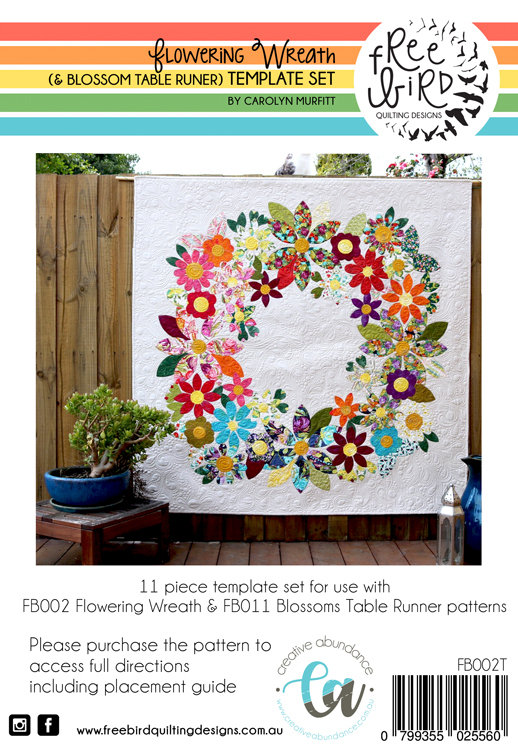 The flowering Wreath/ Blossoms acrylic template set can be used to complete this pattern.